I love food. Not only for its taste or for the pleasure of preparing it but for the power it has. We all share a necessity to eat. Food brings us together and it is present in different ways at all of our most significant celebrations; births deaths, weddings, birthdays; we eat. When I began this blog over a year ago I said that I explained that I have always had a love of food. Over the past year I have taken that a step further and have been working as a professional chef. All of this, I did with one goal in mind, to open an Irish language café. I wanted to use the amazing power of food to create a socail space for Irish speakers. Now I'm ready to begin. On 15 June I'll be opening a pop-up café in Gael-Taca Chorcaí. POTA is the name of this new venture and it will only run for a month. From tagines to curries and from stews to broths, hot pots will be the main fare in this new café. The menu will include a variety of cuisines from countries and cultures all over the world and will be delivered using seasonal, local ingredients. Good coffee, tea and freshly baked goods will also be available. In every indigenous culture around the world there are different hot pots. These dishes are cooked slowly on fires and stoves, allowing beautiful flavours to develop, and around them people converse in their native languages. That is what I hope to achieve with this café. Recently I've been working as a chef in House Café at the Cork Opera House and in O'Mahony's of Watergrasshill, a new bar and restaurant in the north of the county, where I was raised. I have been so fortunate to witness the positive attitude both of these businesses have to food source and provenance and I will bring that with me to the menu for POTA. 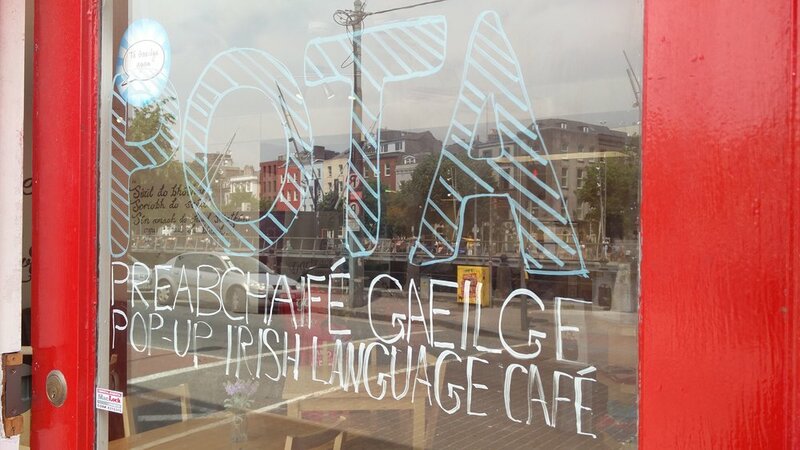 From the perspective of language this new café will be run through the medium of Irish, but those with little or no Irish will also be more than welcome. With a combination of support, resources and an inclusive attitude I hope that everyone will enjoy the space and get to use whatever Irish they have. Throughout the duration of the pop-up cultural events will take place in the space, including poetry, music and storytelling. All information about these events will be available through the café's social media, here, shortly. Gael-Taca has been based on Sullivan's Quay for many years, and they have long been doing Trojan work on behalf of the Irish speakers of Cork. This is another step forward for them as they promote Irish as a living, vibrant language in the real capital. I am extremely grateful to them for this wonderful opportunity. From the 15 June Pota pop-up café will be open from Tuesday to Saturday, between 10am and 4pm.